Should Pop-Ups Be A Part Of Your Website Strategy? Pop-ups seem to be growing in popularity around the blogging world. Along with that, they’re becoming more and more controversial. Some people love them. Some people hate them. Some people are super cool and just don’t care. 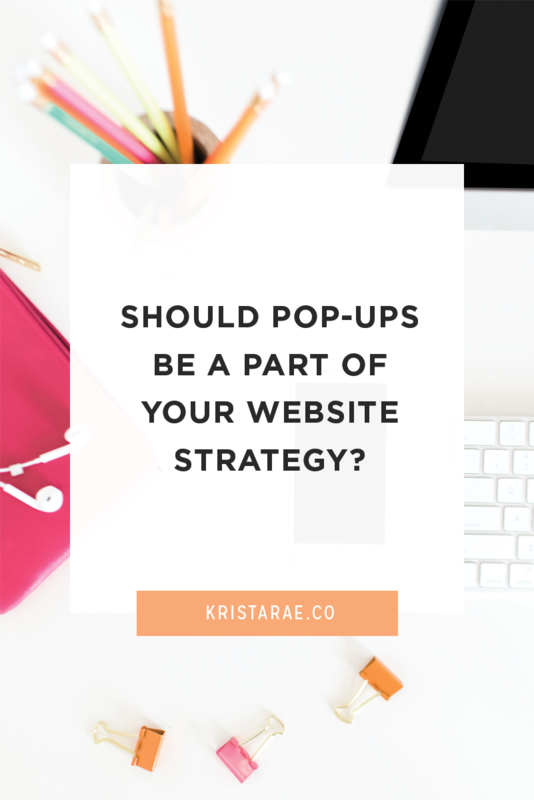 As for what I think about whether pop-ups should become a part of your blog strategy? Well I have a short answer and a long answer. The short answer is: If you don’t care about how you make your audience feel and you’re all about the opt-in conversion rates, then definitely go for it. If you care about your readers and want them to have a positive experience, don’t do it. In my long answer, I’m going to assume that you DO care about your readers and are open to some alternatives. Yes, pop-ups increase your signup rates. But they also drive a lot of really genuine followers away. Personally, if I experience a pop-up, I don’t usually close the browser window immediately, but I do get annoyed right off the bat. Is that really the first experience you want your readers to have? I’d bet not. 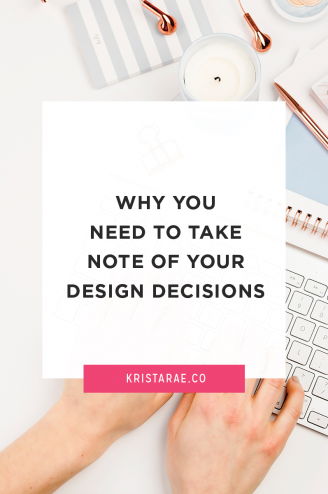 So let’s quickly talk about why pop-ups are so annoying and then I’ll go on to what you can do to increase your conversion rates without upsetting your visitors. First, a pop-up interrupts the people visiting your site. They may have clicked over from Pinterest, checked out a link shared on Twitter, or discovered you from a Google search. The thing is, it’s likely that they’re excited to read whatever they came for. They begin scrolling and suddenly there’s this annoying window up in their face asking for an email address, creating a barrier between them and what they wanted to see. You want to make it as easy as possible for new visitors to consume your content, right? Pop-ups just make the whole process more difficult. Personally, when someone visits my site for the first time I want them to learn something, find true value, and relate to what I have to say. I want them to feel welcome, learn to trust me, and then provide their email address if my content is worthy. But a pop-up skips all those steps. They land on your site and instead of being welcomed they’re immediately blasted with an opt-in form. Wait a minute. They haven’t even gotten anything from you yet and you’re already asking something of them? Nope, not how it works, people. 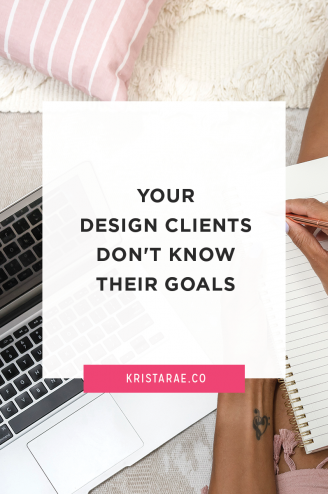 Provide value before you start asking things of your visitors. Bottom line. And lastly I’d like to point out that there are websites which are literally unusable on mobile devices because of pop-ups. I’m sure you’ve experienced it too. You visit a site to read a post, a pop-up appears, but you can’t scroll over to the exit button and clicking outside of the pop-up doesn’t do a darn thing. Your only options are to enter your email address (which you sometimes can’t do even if you wanted to) or leave. I don’t know about you, but I’ll choose to leave in that situation every time. Phew! Alright, rant over. Let’s now go over some of the alternative things you can do to increase your email signups, rather than having pop-ups. If you want an opt-in opportunity that visitors will see immediately upon entering your website, a header opt-in is a great way to do that. These options are great because you know your visitors are being exposed to your opt-in opportunities repeatedly, but you’re not being pushy or annoying. If you’re worried that seeing the same thing over and over would frustrate your readers, it’s really not a problem. After visiting your site several times your visitors will become used to it and stop noticing it’s even there. The trick is to have an offer enticing enough that they’ll sign up to your list before that happens! If adding a header opt-in isn’t your thing you can also use your sidebar and footer! It’s great to include a valuable opt-in offer in your sidebar right after your headshot, bio, and social media links. That way it’s right at the top for everyone to see. 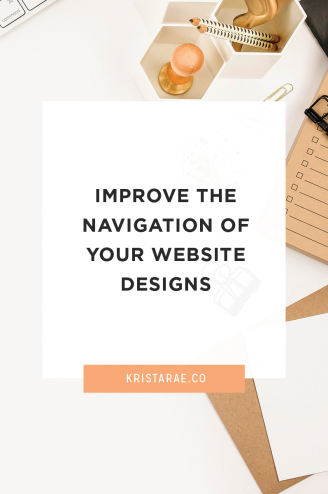 If you don’t have a sidebar (like me) or want to make great use of your footer you can also include an opt-in opportunity there! 1. Give them something good – don’t expect to get email addresses in exchange for “weekly updates”. No thanks. 2. Include an eye-catching graphic so people don’t just scroll by. 3. Make the offer clear – don’t make your visitors guess what they’re going to get. Tell them all about how awesome it is! 4. Use an exciting CTA – None of this “Sign Up Now” stuff. Something fun like “I’m In”, “Heck Yes”, or “Download Now!”. Honestly, the best thing you can do to grow your email list is to provide your readers with actual value. If you teach your readers something that improves their lives, teaches them a new skill or inspires them, they’re going to want to learn more. 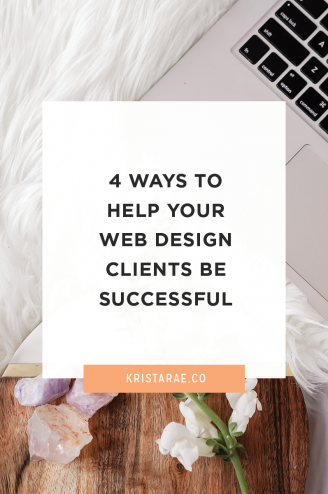 A great way to grow your list without being annoying is offering a free content upgrade, workbook, workshop, or a course that expands upon the content they are already interested in. Using this approach, your readers will have already received great value from you and you’ve gained some of their trust. They can then feel confident that handing over their email address will benefit them. This is a pop-up that only shows up when the plugin detects that a reader is leaving your site. Before they exit out, the form will appear and they can choose to continue their escape or opt-in. These can still be annoying because they aren’t always accurate. A lot of times I’ll move my mouse to change tabs, switch to a different program, or click a link in the menu and the pop-up will appear, which leads us to the same problems we experienced with a regular pop-up. But all-in-all if you’re looking for a happy medium this is your best option. Yes, some people will still end up annoyed, but if you’re looking for higher conversions rates that might be a risk you’re willing to take!